Copywriting is the art of using words to change minds, change behaviour and change attitudes. At its most extreme, copywriting is highly creative and emotive – some would say propaganda. At an everyday level, copywriting is the voice of your brand talking to new and existing customers. The effectiveness of copywriting depends on the ability of the writer to understand the needs and wants of the target audience. Being able to imagine yourself in someone else’s shoes is as important as being able to spell and punctuate correctly. Great copywriters are famous for their ability to latch onto benefits, understand them inside and out, and then make them relevant to the reader. Think of copywriting as the glue between your product and its target audience. The better the glue, the stronger the bond. 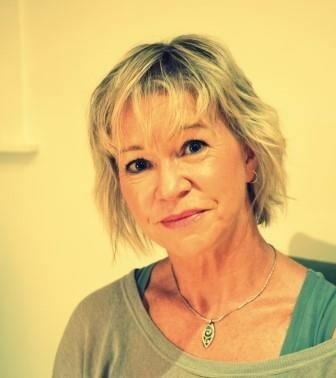 In 1993 Jo Joiner left the Auckland ad agency scene and discovered the joy of self-employment. It was serendipity that the internet hit the public consciousness at about the same time. Words were suddenly more important than ever, as people turned to the world wide web for information and entertainment. Word Joiner was a one-woman-band until 2006, when Murray Joiner arrived in the business from the world of corporate communications and knowledge management. Now there were two writers to share large projects and ensure a quick turnaround for a growing portfolio of clients in New Zealand, Australia and the UK. Today Word Joiner works directly with the brand and marketing managers of many leading New Zealand brands. We also partner with web designers, brand agencies, digital agencies, graphic designers and advertising agencies. We’re a professional copywriting business established in 1993 on a foundation of major ad agency experience. You deal directly with the copywriter who will be doing your work; we don’t sub-contract to other writers. We develop a unique tone and manner for your brand – a way of talking that suits your purpose and your market. You can use us at a strategy level, to ‘benefit-storm’ your product or services and find new communication approaches. For major tasks that need a quick turnaround, both word joiners can work on your project. You can count on us to be there for your brand – we’re a proper company, not a couple of freelancers who are between permanent positions. While we often share large projects, each of us has industry specialisations. To get a better return on your investment, choose the best copywriters you can find. We have the experience and expertise you need. For my entire working life I’ve been crafting words to inform, persuade or entertain – sometimes all three at the same time. My career began with five years of radio copywriting, where I learned the art of painting pictures with words and sounds. 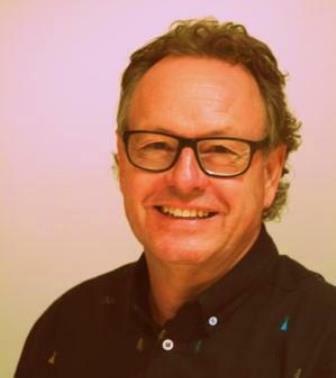 From broadcasting I launched into the Auckland ad agency world, doing the rounds of global brands, including Ogilvy & Mather, Saatchi & Saatchi and DDB. Along the way I collected some confidence-boosting awards, but the most valuable thing I gained was writing versatility. I’ve conceived campaigns for everything from chocolate and burgers to pharmaceuticals and finance. Clients also say I have a remarkable ability to simplify complicated messages. Communicating with people and helping them to understand things has always been the primary focus of my work. My employment history includes secondary teaching (science and mathematics) and museum management, as well as senior communication roles in private and public sector enterprises. I also have an understanding of knowledge management within large organisations. At Word Joiner I often turn my hand to the more technical and scientific writing tasks, as well as user guides and ‘help’ content. However I’m just as comfortable with creative writing projects that demand right-brain engagement. In a country that’s something of a village, it’s important to be versatile and flexible. How much does Word Joiner copywriting cost? We can usually give you a ballpark cost over the phone, once we have a high-level understanding of your job. This initial costing can be turned into a firmer quote when we have a clear picture of the brief, usually after a meeting. We do have an hourly rate, however it doesn’t tell you much because you won’t know what can be achieved in an hour. Shortest answer? Call Jo on 021 192 6699. A phone call or email starts the process. This can lead to a meeting – either on the phone or in person – to discuss your project. If you need to see evidence of our experience in your sector, we can provide writing samples of similar projects. We’ll usually provide a cost estimate before work starts. If you’re looking for ongoing copywriting services, such as a regular blog post or newsletter, we can provide a unit cost. Copywriting can start when we have raw material, i.e. information about your product or services. You might have an existing website, brochures or sales proposals that will provide the facts we need. Alternatively, or sometimes as well, we can interview your key people (face to face or over the phone). We provide questions ahead of time and use a voice recorder, so that nothing gets missed. Word Joiner has been writing for the web since the internet arrived in the early 1990s. Our content writing has evolved as the web has evolved, so we’ve picked up all sorts of useful knowledge about how to get noticed in organic search results (the results that appear below the paid ads when you Google something). SEO copywriting means writing content and meta data (titles and descriptions) that help you to land on page one of organic search results. When we’re writing website copy, we do this basic SEO work along the way.